Developing business relationships with people on social media who have modest numbers of followers may seem counterproductive to many marketing and PR professionals. Why develop content with someone who has 10,000 followers when you could work with a celebrity who has a million followers? Here’s why: because, almost paradoxically, micro-influencer marketing is proving to be one of today’s most effective digital PR and marketing strategies. While exact definitions vary, micro-influencers may have 1,000 to 100,000 followers – significant for ordinary people but far less than celebrities. Research consistently shows that micro-influencers gain higher engagement rates than celebrities or macro-influencers. In fact, recent research shows that engagement is inversely related to the number of followers: the more followers, the less engagement. Influencers with hundreds of thousands or millions of followers are less able to engage with their online fans. Micro-influencers tend to be knowledgeable about their niche and their followers are more likely to trust their recommendations. Working with micro-influencers is also more affordable for marketers and advertisers. Some may mention or review products if you just send them free samples. Partnering with micro-influencers does pose disadvantages. Finding and managing them and monitoring their posts can be time consuming. A social media monitoring service can locate social media users who already post favorable mentions of a company’s products, analyze their engagement rates, and monitor their content over time. These are some examples of successful micro-influencer campaigns to inspire your creativity. The boat shoe brand Sperry worked with more than 100 micro-influencers on Instagram. Sperry identified Instagram users who were already sharing high-quality photos of its products. The brand invited those users to develop visual content for its official Instagram account – for free. Their photos portrayed people wearing Sperry’s shoes in exotic or scenic locations, often at high altitudes. Audible, Amazon’s audiobook and podcast division, partners with celebrities and influencers of all sizes, including micro-influencers. One was photographer Jesse Driftwood (@jessedriftwood) who posted a photo of himself using Audible. In the caption, he explained how he uses Audible to learn more about business management and productivity while involved in other activities. Although Driftwood had fewer than 100,000 followers, the Audible marketing team realized that his fans are particularly loyal and engaged. “His simple anecdote makes followers feel as if they’re receiving an authentic suggestion from a friend,” says Harley Schachter, president and founder of Travel Mindset. 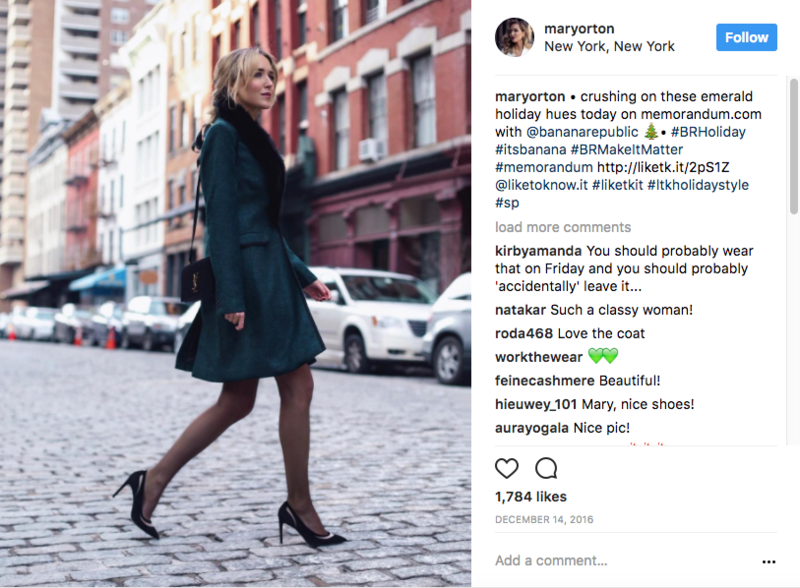 Banana Republic worked with Instagram micro-influencers who modeled its clothing in a variety of settings. Their posts included the #itsbanana hashtag, a common hashtag in Banana Republic campaigns. Influencers also included seasonal and campaign-specific hashtags like #brmovesyou, #brmakeitmatter and #brholiday, notes Mediakix. By seeking fashion and lifestyle influencers known for their sense of style, Banana Republic reached a large and targeted audience. Swedish watch-maker Daniel Wellington emphasizes influencer marketing over other strategies. In fact, it does no traditional advertising. In a recent micro-influencer campaign on Instagram, it stepped beyond fashion and lifestyle Instagrammers to reach a larger audience. 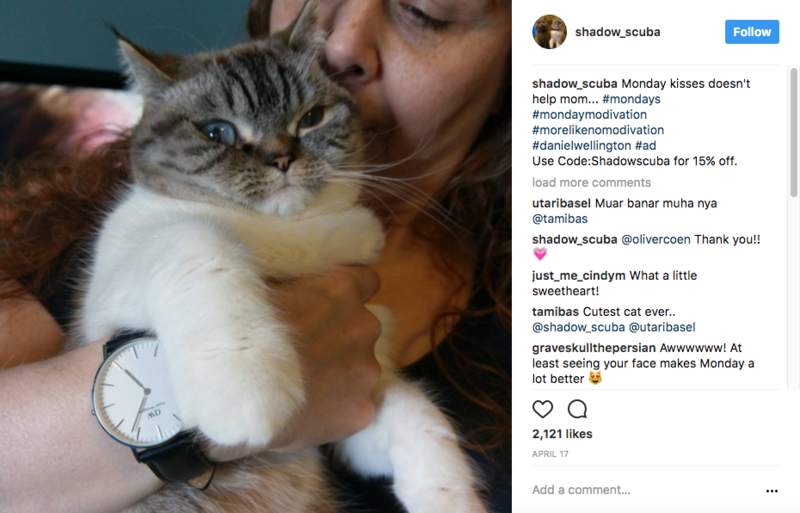 For instance, it partnered with Scuba and Shadow, an account focusing on pets. Micro-influencers included account-specific discount codes in posts to attract new customers with incentives. By partnering with a large number of influencers with different styles, Daniel Wellington reached a larger group of consumers in a range of demographics, including people outside the fashion niche. Glossier, a skincare retailer founded in 2014, owes its success largely to influencer marketing. When selecting influencers, it prioritizes engagement rates over follower numbers, a strategy that leads to micro-influencers, according to Mediabistro. One was Cecilia Gorgon, a student at the University of Michigan majoring in fine arts, with about 8,500 Instagram followers. She posted a photo of the brand’s Priming Moisturizer Rich, recommending it because she’d “been testing it out the past few days and it’s so moisturizing.” She also positively reviewed Glossier products in an Into the Gloss article under her byline. Glossier’s program for its representatives also includes micro-influencers. Glossier flew 13 of its representatives to New York City for 48 hours. One was YouTube vlogger Amy Serrano who boasts 47,000 YouTube subscribers. The beauty vlogger documented the excursion on YouTube and dedicated four Instagram posts to the trip, garnering substantial views and engagement. Glossier also recently introduced a referral program to enable its more influential followers to offer product discounts and other incentives to their unique networks. Tom’s of Maine, which manufactures personal care products with only natural ingredients, decided to partner with social media posters with 500 to 5000 followers – people more like ordinary customers than influencers. Tom’s was careful to seek people who could engage their audience on relevant topics, explains digital marketing consultant Shane Barker. For every 1,000 micro-influencers, it received more than 6,000 interactions on social media. It also obtained customer insights through feedback, reviews and surveys. “This example clearly shows how you don’t always have to go big with influencer marketing. A strong network of micro- and mid-level influencers, relevant to your niche, should have the desired effect on engaging your target audience,” Barker. Bottom Line: Partnering with micro-influencers with significant yet relatively modest numbers of followers can be a superb marketing strategy for major brands as well as small and new companies. These examples offer guidance on how to carry out successful micro-influencer campaigns. This post was first published on July 12, 2017, and updated on Oct. 30, 2018.